In 1938, two years after graduating from the University of Turin, Italian neurobiologist Rita Levi-Montalcini was forced to continue her research in a makeshift bedroom lab because Fascist laws barred Jews from academic careers. In 1946 she came to Washington University in St. Louis, where she made the breakthrough discovery of NGF, a protein associated with nerve growth. She continued research on NGF with Washington University biochemist Stanley Cohen, and the pair won a Nobel Prize in 1986. 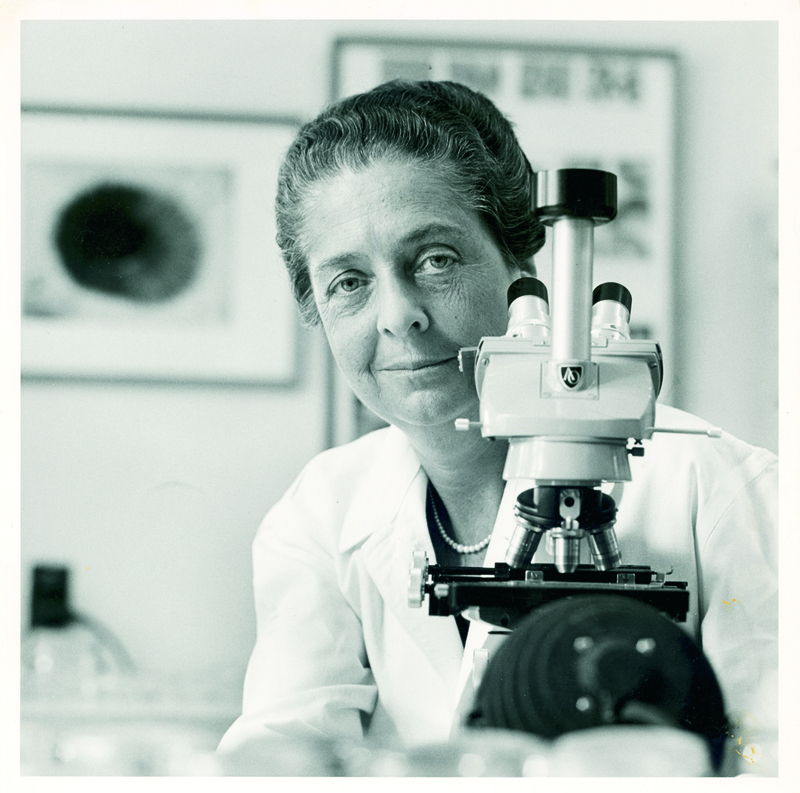 The recipient of numerous awards, including the National Medal of Science, Rita Levi-Montalcini worked past her 100th year to advance the understanding and treatment of diseases such as cancer, Alzheimer’s and Parkinson’s.